One of the best strategies to teach writing is to integrate art into it. You can for instance get students to work on drawing something and after discussing each one's drawings you can then ask them to use their own drawings to write a story. Another strategy is to use technology. There are now several free web tools that can help students get started on their stories. Technology can assist them on the most difficult phase of their writing process which is generating ideas. Last year Educational Technology and Mobile Learning posted a list of three tools for this purpose and today we are adding more tools to this list. Check out this list below. It contains some of the best creative writing prompts online. If you have other suggestions, share them with us below. The Story Starter generates thousands of story starters that can be used for short stories, novels, plays, scripts, or just for fun.If you do not like the story starter sentence generated for you, you can clik on the button to get another one. This is a cool web service that provides students with a story starter and prompts them to elaborate on it and get it published when voted on it . Plinky provides writing prompts on a daily basis These prompts can be in the form of a question or a challenge that students have to answer. Plinky has also an awesome community users which when signed in can help your students see how others are answering the challenges. This is basically a social brainstorming tool that allows users to capture their ideas in a visually attractive way. Wikibrains works in such a way that it could be used as a good story starter because when you start creating your mind map, you get prompts to finish your sentences. 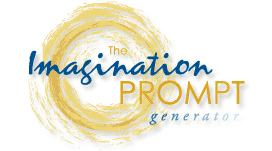 It is a part of the Creativity Portal which provides ideas for free creative projects. Most of the project ideas in the kids section of the Creativity Portal are appropriate for elementary school and possibly middle school age students.